Maui, Hawaii, is one of the dreamiest destinations on the earth and it is gaining popularity as a wedding destination too. With its stunning Hana Highway passing by the lovely Hawaiian black sand beaches and waterfalls and twisting around mountains, the beautiful Haleakala National Park with Haleakala volcano, the lush green, stream-cut Iao Valley and the unmatched energy of the shopping district of Lahaina, Maui presents some of the best creations of Nature as well as man. No wonder, it has countless wedding locations, and wedding photography in Maui is simply amazing. Here we enlist some of the most photogenic locations which you and your photographer in Maui will fall in love with. Maui has some of the most awesome beaches in Hawaii. You can choose any of them to say “I do” on the backdrop of rippling waves and palms swaying with gentle breeze. No need to say that you two and your family and friends can enjoy snorkeling here, indulge your taste buds in the luxurious restaurants ashore or just enjoy the views. 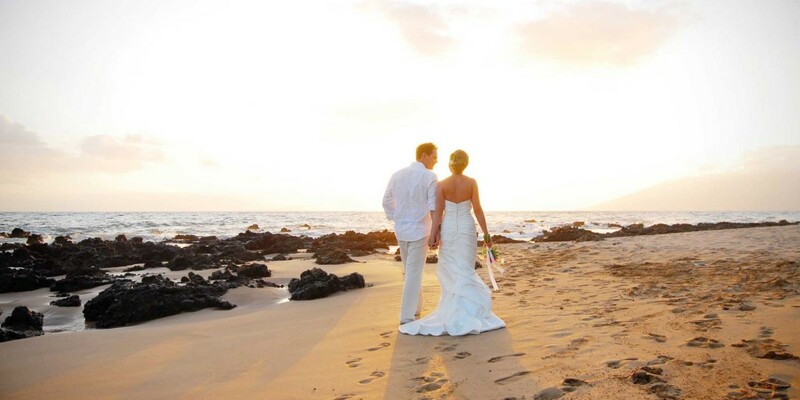 Big Beach: Also known as Oneloa Beach and Makena Beach, Big Beach presents a picturesque spot to tie the knot. Just north of it is its younger sibling, Little Beach, separated by a vertical lava outcropping. Maluaka Beach: This is an idyllic spot to exchange vows and enjoy the natural beauty of seascape. Wailea Beach: Wailea presents 5 crescent-shaped lovely beaches in South Maui, any of which can be chosen for your big day. Kapalua Beach: This beach too presents a tranquil setting to celebrate your special day with some of the most stunning views. Maui Tropical Plantation: Your guests will be pleased that you arranged your wedding at such a beautiful place where there are 14 of most popular Hawaiian flower and fruit crops and you can also see the interesting process of coconut husking and farms. All of these offer some great wedding photographs. Enjoy delicious fresh fruits like guava, papaya, mango, macadamia nuts, taro and more, and some great coffee too. Iao Valley: This verdant valley in West Maui is famous for its natural splendor and history. Say “I do” on the backdrop of the famous Iao Needle, a green remnant of lava rising 1,200 feet above the floor of the valley. Maui also has some exquisite chapels which, apart from providing you place to exchange vows, provide some stunning settings for your wedding photographs. Grand Wailea Chapel: Wailea is not only famous for its beaches; it also has a charming seaside chapel too. The chapel lawn bordered with palms and tiki torches offer an extremely picturesque setting for your special event. 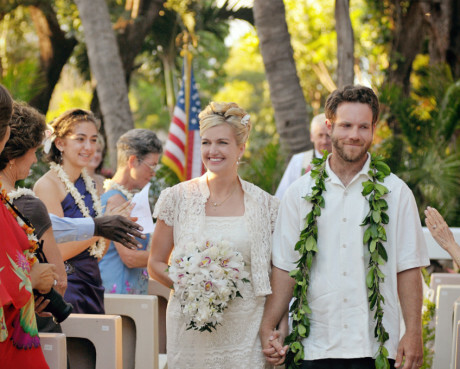 Keawalai Congregational Church: Keawalai Congregational Church also provides the enchanting ocean backdrop set at the end of a beautiful paved path along Makena’s coast – a simple, yet stunning setting that will amaze you. And this is not all! There are many such stunning spots in Maui where you would like to tie the knot so that your wedding photos will remind you the delightful moments for years to come. Sasha Prince is a Maui Photographer who specializes in wedding photography, engagement photography and more. If you are planning a Maui wedding, you should take advantage of Sasha’s excellent photographic skill and experience. Take a look at some of her outstanding work in this article and much more on her website.